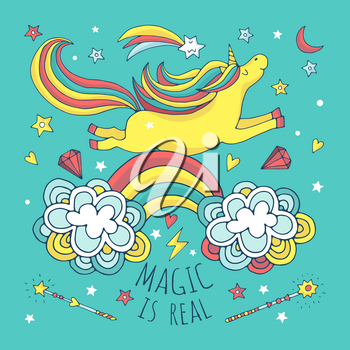 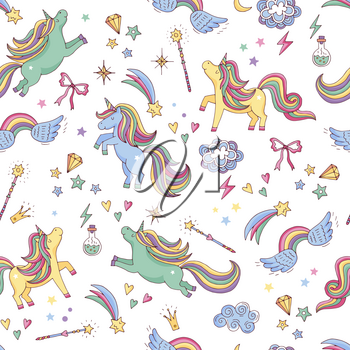 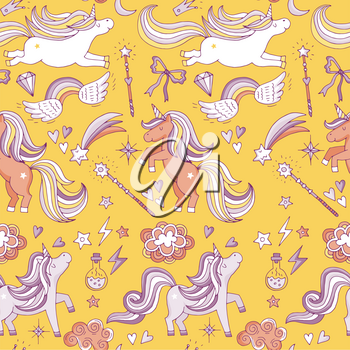 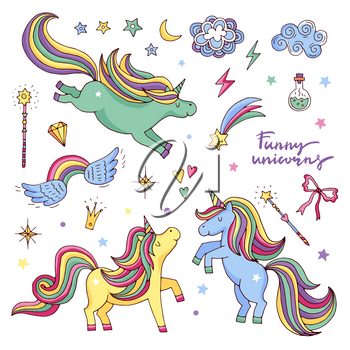 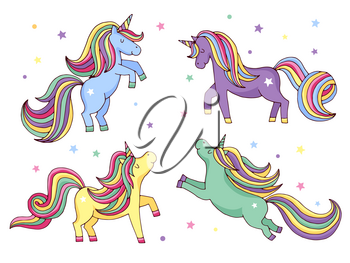 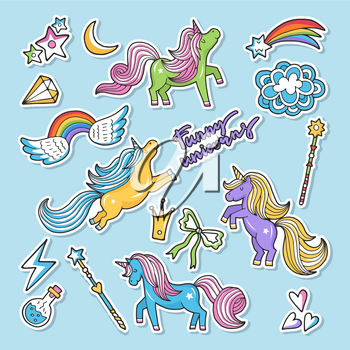 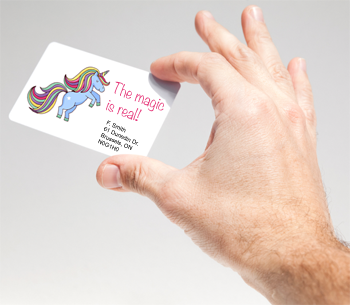 This "Magic is Real" image pack contains a large number of unicorn-themed image elements as well as 2 seamless tiling unicorn backgrounds. 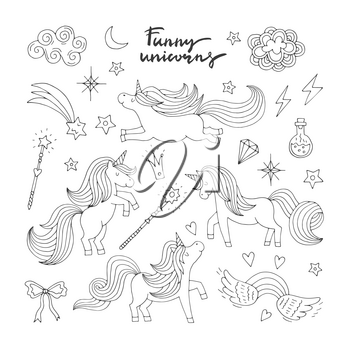 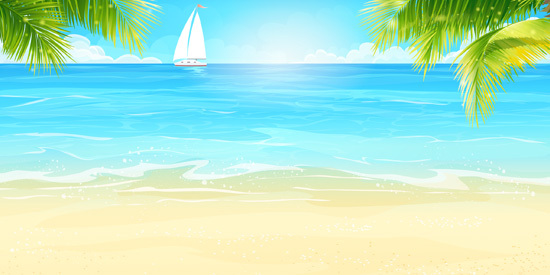 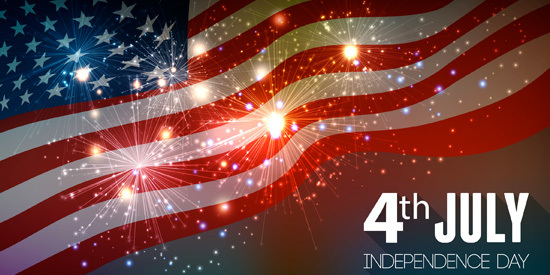 Perfect for greeting cards, personalized gifts, birthday parties, blogs, posters and much more. 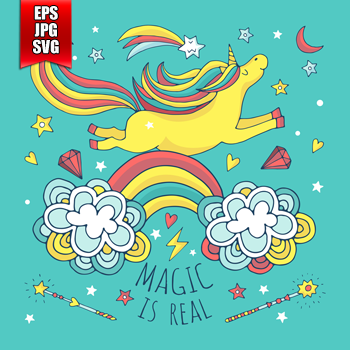 Available file format(s): EPS [8,324.5 Kb] JPG [16,947.7 Kb] SVG [2,014.0 Kb] (ZIP files).